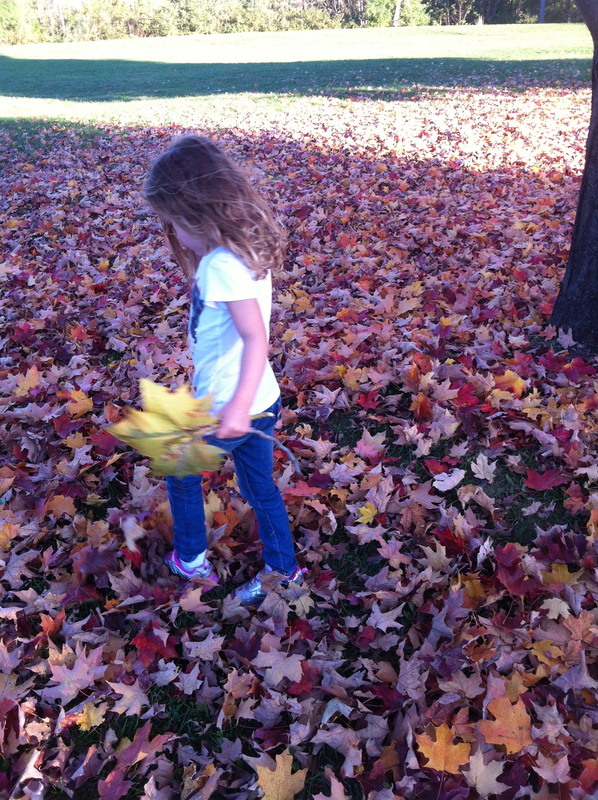 Are Ya’ll Fallin’ Apart in Fall? While many are rejoicing, shouting, “Sweater weather! Changing leaves! Back to school!” I fall on my face in fall. I’m already missing the warm, sunny walks, where the temperature only requires me to throw on a t-shirt and jeans. My eyes already thirst for the refreshing color of green, which normally dominates the giant trees that line the country road leading up to my house. My clock falls back, leaving me in darkness, an hour earlier. I fall back to memories of moving during many falls: falling away from friends I had to leave behind, falling away from everything familiar, and falling away from the churches I loved. Fall was when I threw up 20 times a day, every day, for five months while carrying my twins, before they arrived beautiful, and premature, at 29 weeks. Fall brings back that smell of rotting leaves that would make me vomit again, every time the front door opened, during that pregnancy. Fall was when I’d send my boys to school, before we started homeschooling, and grieve during the long days when someone else taught them, and spent long precious days with them, as they kept growing way too fast. Falling leaves mean the holidays are coming fast! Stress! Fall means that I can’t take my daughter into stores that have “scary stuff.” We don’t celebrate Halloween; but most would agree that a giant Grim Reaper, greeting your child at your local pharmacy, is quite intimidating! Fall makes obvious, the areas where I fall short. I have trouble keeping up with school, and keeping my house clean. I love to decorate for the seasons, but adding decorations to clutter, seems, well…backwards! Fall is the season where I struggle with depression. Fall was when I went through the darkest season of my life. 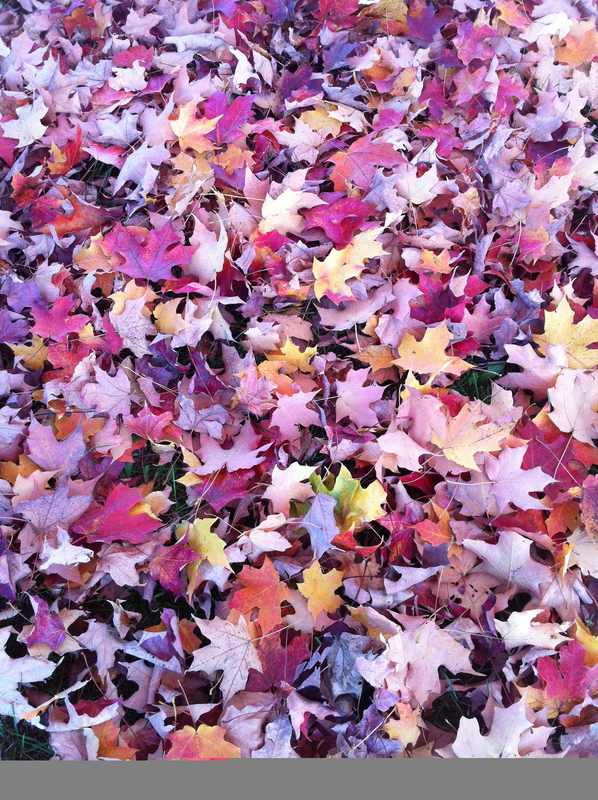 It’s no wonder, that in fall, I tend to feel like I am falling… to pieces. But God is faithful. He has been changing my outlook on fall. Our daughter arrived in the fall, like a ray of sunshine, bursting through a completely overcast, cloud-filled sky. Fall now begins with her birthday party, which means family, laughter, friends, and fun. 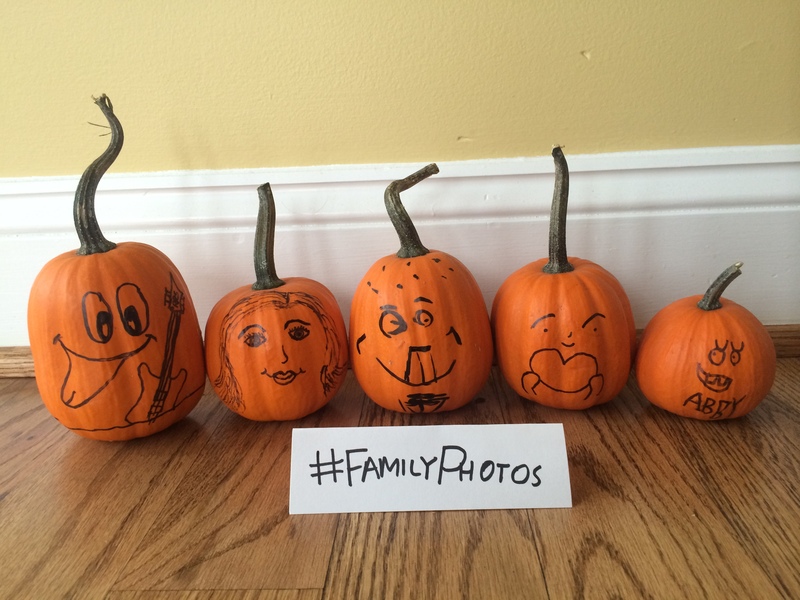 Fall is when we draw our faces onto baby pumpkins. Though God made all of us artists, the pumpkins are just silly and imperfect, like us. They sit on our fireplace, reminding us that we belong to each other. Fall brings a corn maze to explore. My daughter says, “We have to bring Daddy with us, so we will know how to get out!” In fall, we walk the country road, taking in the beauty of the colored leaves, as we stop to pet the neighbors’ horses. 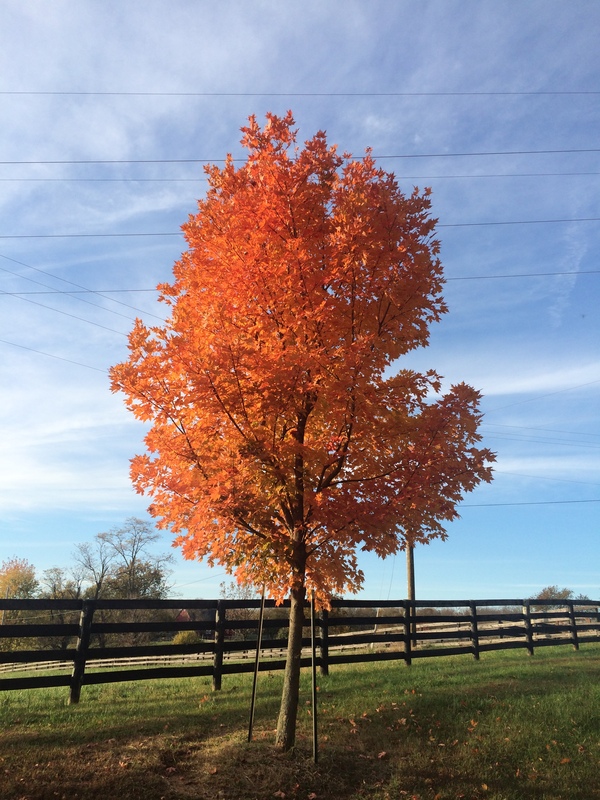 I admire my favorite fall tree, the orange maple. Fall means coming home, cuddling in warm blankets, relaxing, and reading together by the fireplace. In fall, my heart bursts with joy, as my Sunday school students, run in bright-eyed, and giggling, ready to learn about Jesus. Fall means gathering in the warm, sunny kitchen for school. 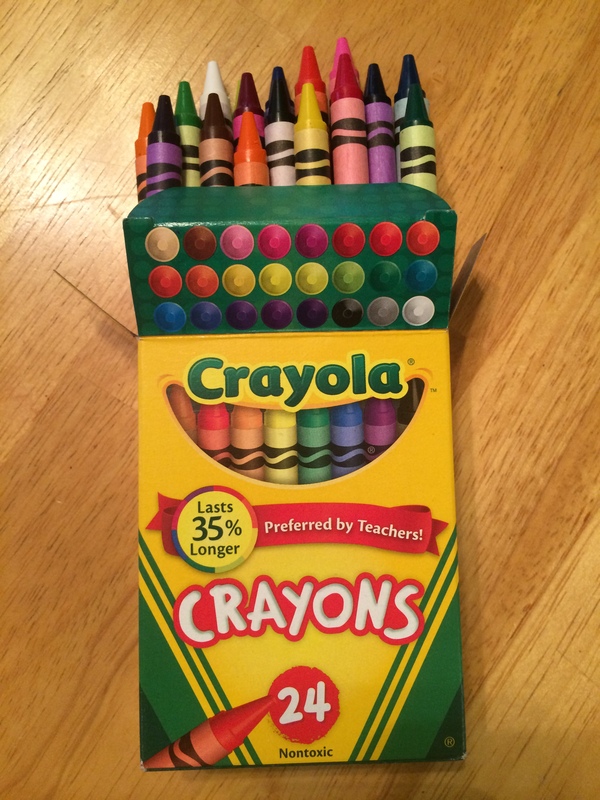 There are new subjects to explore, and fresh new boxes of crayons. There’s creativity, comfort, and conversation. I watch my kids, greeting their friends, as I drop them off for outside classes. My twin sons, now young men, are nearing the end of their schooling years, while my daughter is just beginning. I’ve brushed my daughter’s long curls, for school, and put her in a cute, fuzzy sweater, to keep her warm. Her backpack is too big for her. 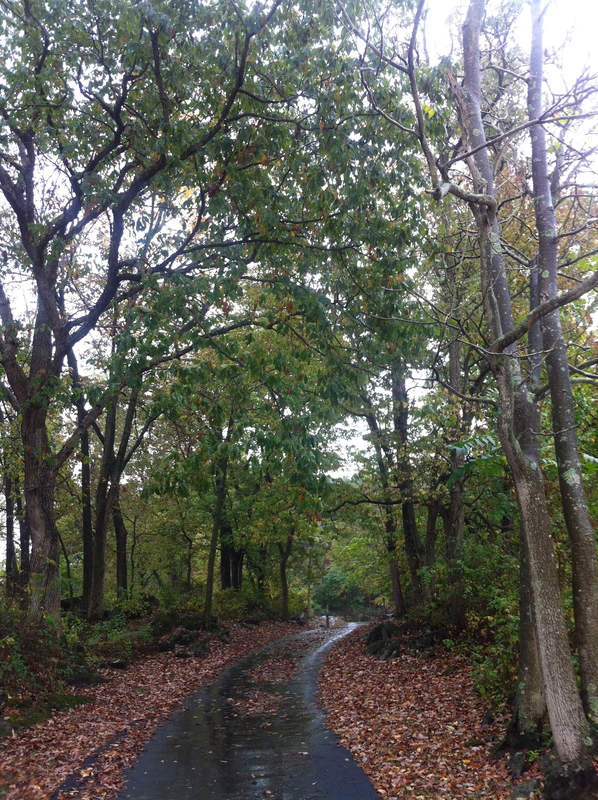 I find myself enjoying…fall. God wants us to enjoy ALL the seasons! By fall, I’m a rubber band, weakened, and stretched to capacity. But Jesus repairs the broken, making us stronger. God has provided miraculous healing for my precious family. This season is a good time for our family, and others, to fall on our knees before God, thanking Him for His good gifts. We can fall back on trusting God, because God blesses the faithful. We can fall back into bed for that extra hour, because God tells His children to rest in His word. We can pray about any fall-outs with friends or family, because there is forgiveness through Jesus. We can also fall back on biblical boundaries, removing ourselves from harmful relationships, while entrusting reconciliation to The Holy Spirit. We can pray, and ask God to change the hearts of those who have fallen away from Jesus. As sinners, we will fall down again, but as God’s children, we can dust off our jeans, and hold our heads up high. We are forgiven through Jesus, and nothing can separate us from God’s love. We will have difficult seasons in life. But the silver lining is that seasons change, and we don’t have to walk through them alone, if we invite Jesus into our hearts. God can heal us even during our coldest, darkest seasons, and use them for our good, and His glory. Our healing may be emotional, physical, mental, or spiritual. God knows what we need. He promises that the seasons will continuously change, as long as the earth exists. This also applies to the seasons of life. Jesus wants to walk with us through every season. He’s fallen in love with us, and he wants to be a part of our lives! 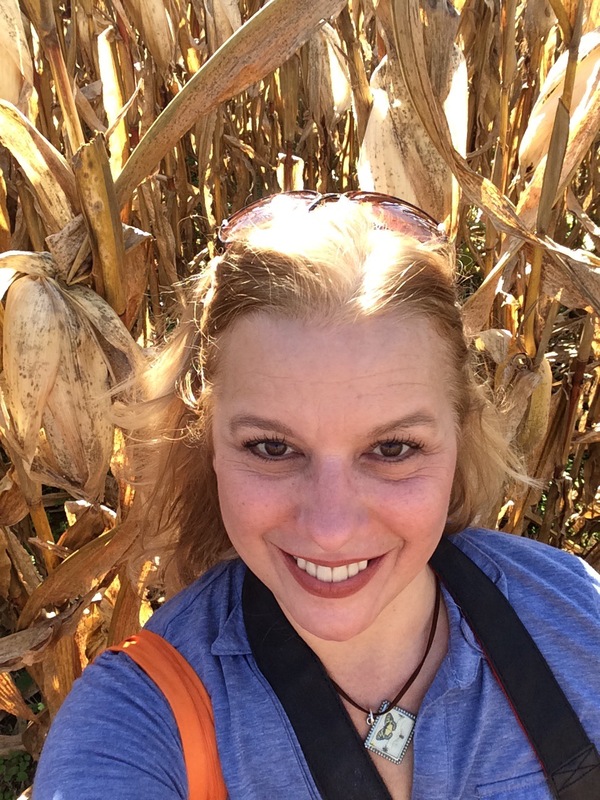 Author, Angela Royse Pelleman, enjoying a fall cornfield maze. Short update: We found our third winner! Stolen Candy Bar…Conviction or Condemnation? Thank you so much for your encouraging words! I’m so grateful you took the time to read my post! We are still praying for your grandson every night! Abby and I will come visit you at the shop, so we can catch up and see how your family is doing! I love you and I hope you continue to receive joy and happiness this season. Thank you, Lisa, and I pray God does the same for you! Thank you for taking the time to read my words, and send me a note. I’m always here for you. I love you, my sister, forever and always. Thank you so much for your encouragement! I love you like a little sister, even though you’re all grown up! I’m here for you anytime, even in the late hours! Love you bunches! This is beautiful! I was sad when I first started reading about your problems with fall. I love fall so much. I think it is maybe my favorite season. Then, I read about God giving you a new appreciation for fall and it gave me hope, hope for areas of my life where I am not able, right now, to appreciate the gifts around me. I will continue to pray that God will help me be able to see the good that is there, but is hard for me to see right now. P.S. I love my gift basket so much! It was just what I needed the day that I got the e-mail saying I had won. God has such perfect timing! PS- try Melatonin for the SADDS. Enjoyed your POST while watching the yellow leaves from the Linden trees fall gracefully onto the street below. 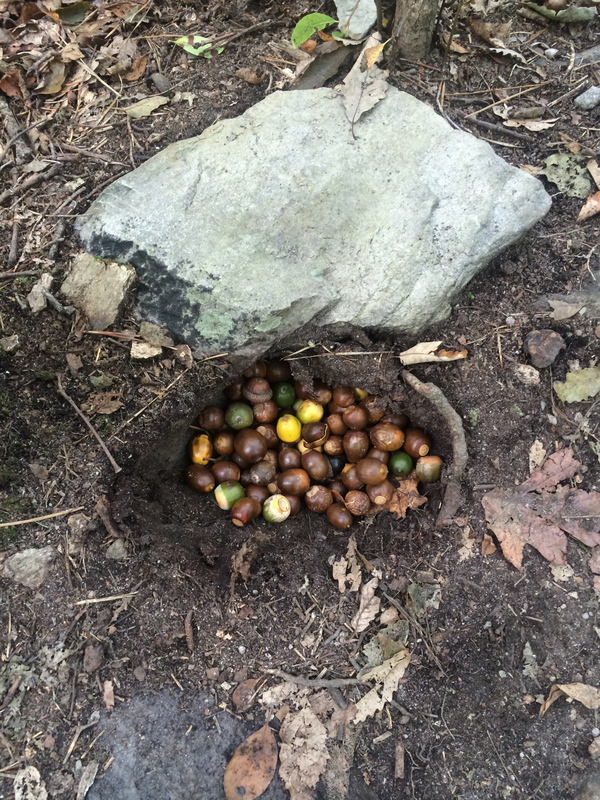 After all, our homes are where life begins, no matter what the season brings. Thank you again for your contributions to our small group of Blogging For God!